Skittles are perfect for St. Patrick’s Day…all those rainbow colors! I paired them with one of my personal favorites, gold-wrapped Rolos for a super fun gift…for friends, neighbors, teachers, and more! I also created a fun tag, and free printable, just for you!!! I save all of my Crystal Light containers, which I LOVE to re-use for all sorts of gifting and organizational purposes. I love the lids, how easy the wrappers are to take off, their size & shape, and that they are see-through! If you don’t have any, or want something smaller, try a jelly jar, other small mason jar, or a baby food jar/container. I layered the candy starting with the Skittles first–in rainbow order–then added the Rolos on top. I didn’t put the Rolos on the bottom, because the Skittles fell through the larger holes and the presentation wasn’t as nice. I printed the printable, punched a hole in the corner, and tied it on my container with a piece of red gingham ribbon. I cut pieces of ribbon to represent all the other rainbow colors, and tied them around the center knot of the red gingham. I suggest using thinner ribbon if you’re going to do this–you’ll be able to add more ribbon and not have it be too bulky. How FUN would this be for a teacher gift–not just now, but for the first of the year, or end of the year? 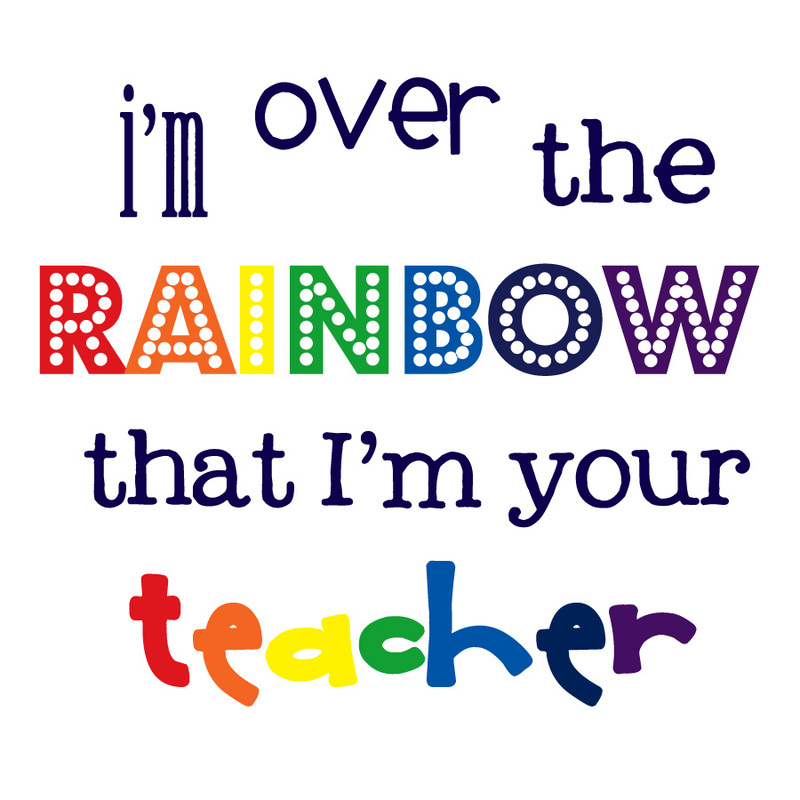 I thought it would be, so I included a gift tag for teachers too–you can download it below! SO easy, and SO cute! If you’d like to use the jpg images, just right click on each image below, and save to your computer. Insert it into a Word Document (or similar program), and re-size as desired before printing. This is the cutest! Thanks so much for always sharing such darling gift ideasand printables with us! I love this! I will definitely be using this for my girls to give to their best friends and neighbors! Thank you so much for sharing. 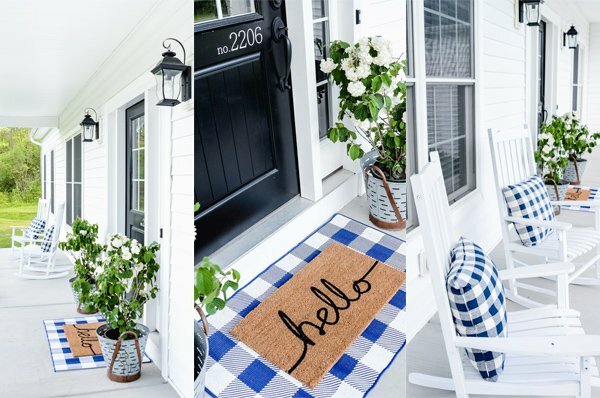 Very cute printable! I love to drop off something cute on my friends’ doorsteps. I think it just makes people really happy, especially us moms who are doing a very hard job! Its always nice to have a little fun in your life! Thanks for the printable! one more thing….is there a full page of the teacher one? I love this printable and think it would be great for Back to School from the teacher. Would it be possible for you to edit it so that it says – I’m over the rainbow that I’m your teacher OR I’m over the rainbow that you’re in my class. Hi, do you have an editable file? I love the look of the printable but wanted to change the wordage. Hi Laura! I don’t usually send out editable files for my printables. Is there a certain wordage I can help you with? Something like “You are the pot of gold at the end of my rainbow”. I wanted to use it for a decoration for my hubby. What type of paper did you use to paste the printable on to? I love this! 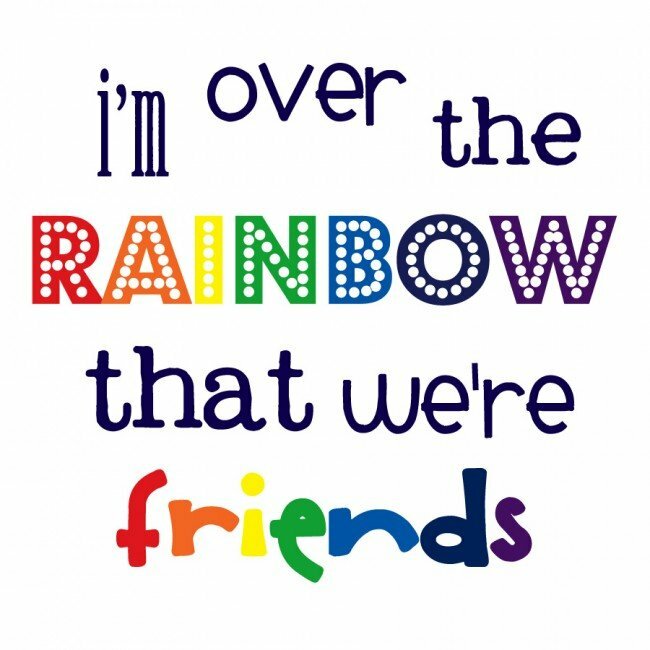 What font did you use for the word “RAINBOW”? It’s called Cheerful Party, but there’s another one that’s very similar called Budmo Jiggler. Both are free! I love this you are super cleaver!! 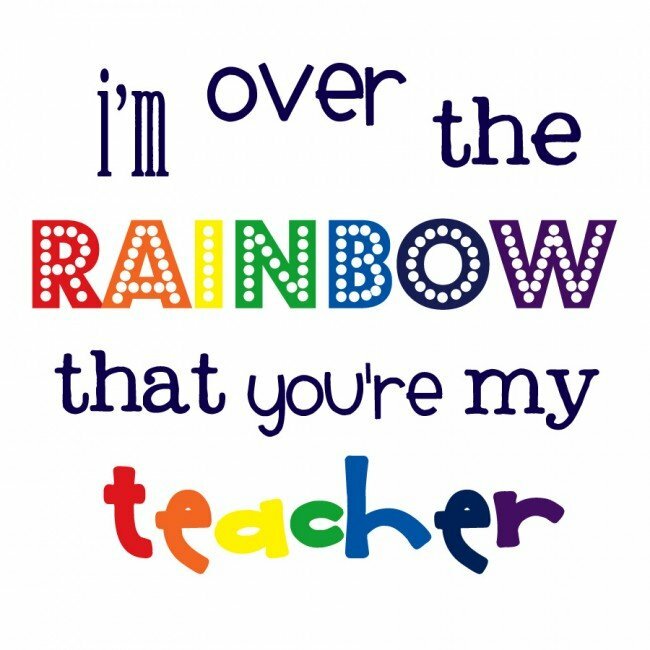 Absolutely darling I was wondering if you could tweek the verbiage at all I would like to add the tag as a thank you favor at my daughters graduation I was thinking it to say: I’m over the rainbow that you came today! I had a stroke awhile and trying to do some crafts to save money but not too computer savvy..hahaha Thanks so much for your ideas and printables with us!